Continue reading [IFComp2010] Seven Games Reviewed. Tags: if, ifcomp, interactive fiction, reviews. Just knowing that something like this exists makes me happy. I wonder if there are other funky voting things out there. I’m trying to think about how something like this might be used as a mechanic for a board game. You could have a plastic tub with several divisions. Each turn, players would put marbles or something into the different tubs based on something in the game. The tub would have a removable bottom, and at some point during the game the bottom would be removed, letting the marbles fall onto some sort of balance scale device, and you would see the result by which way the balance tipped, or maybe there’s some more complex mechanism, something Rube Goldberg-esque, that is affected by the weights of the various divisions. Or I suppose you could have marbles that weigh different amounts but that are the same size and are painted the same color. So you would have them made of different materials (different metals or metal alloys? different woods? ), and their weights would be such that a computer inside a scale could determine how many of each are in the container by weight. However, no one would know what anyone else was contributing to the tub (you would know either by the weight difference, or perhaps there could be different textures put on them so that you could tell the difference by feel). OK, maybe that doesn’t work out mathematically, at least not for large numbers of marbles, but maybe there could be something for smaller numbers of marbles. Or maybe the tub could have a mechanism inside it for sorting the marbles by weight, something that is invisible to the players. Anyway, just some random thoughts about using weight as a voting mechanic. Anyone else have ideas? Anyone know of an existing board game that uses some kind of weight mechanic? You may have noticed that I haven’t added any entries to the Jmac on Games category since late August. It turns out that I have entered a period of intense obsession with interactive fiction, so deep and wholly involving that, for the time being, I have lacked the will to play any other sorts of games, much less write about them. A snapshot of my world: I have neither powered on my Xbox nor launched Steam in weeks. Tim Schaefer is one of my favorite creative forces in videogames, but as I type this I have no clear idea what Costume Quest is or what platforms it runs on. I know neither the color nor shape of the box that Dominion: Prosperity uses. A new issue of Foggy Brume’s always-ingenious Puzzles & Answers is out, but I have no desire to fill in wordplay grids. As a credit to its astoundingly sudden ubiquity, Minecraft has broken through, but only as a brief over-the-shoulder tour of a friend’s stone-and-glass fortress I enjoyed while visiting his real-life home. I felt duly impressed, but before long wanted to get back home to my own computer. On that computer, I have Suspended (Michael Berlyn, 1983) open in one window, and I ponder recreating the board-game play aid that shipped with the game’s physical box. I have the experimental collaborative piece Alabaster (Emily Short et al, 2009) open in another, as well as a shifting sample of this year’s entries to the Interactive Fiction competition — which, alas, I cannot vote in, since I myself entered a work. Buried beneath these game windows are works in progress in both Inform and Final Cut, and these in turn point to both a cloud of Wikipedia browser tabs and a short stack of increasingly dogeared books on my desk. And behind all this, so many blogs and Twitter search-streams and MUD windows as I steep myself in what everyone else is saying about — and creating within — this medium, at once invisibly obscure and sparklingly vibrant. Earlier this year, I squeezed into the amazingly crowded IF events at the first PAX East, assembled a video about modern IF, and wrote about the energizing developments in the medium since PAX. But the event that transformed me from evangelistic observer to suddenly ravenous platform-student was my crafting a work for the 2010 comp, and the subsequent feedback I began to receive. As a professional software developer, I found no surprise that finishing it in time for the October deadline soaked up my September in intense work, both on my own and alongside my beloved betatesters. But I did not expect to emerge from the experience significantly changed in my relationship to IF. Which is to say: hungry. Continue reading How the Text Rewrote Me. Tags: boston, if, interactive fiction, lurking horror, meetup, pr-if. 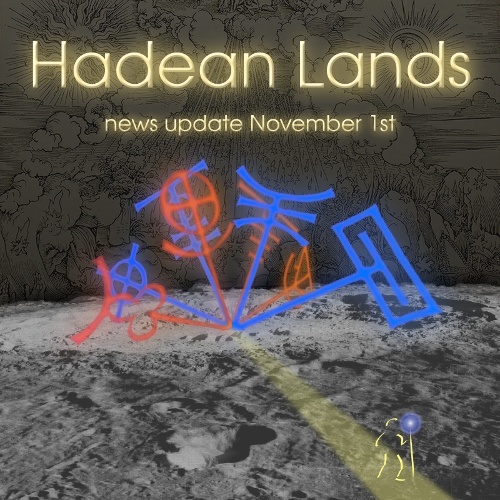 Tags: hadean lands, hl, if, interactive fiction, iphone, teaser, zarf. Continue reading [IFComp2010] Reviews of R and Leadlight. Tags: if, ifcomp, interactive fiction.